72 years, 11 months, 5 days old age. Cher will turn 73 on 20 May, 2019. Only 24 days, 22 hours, 7 minutes has left for her next birthday. 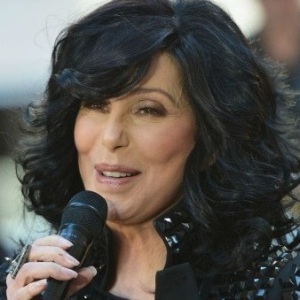 Cher has celebrated the total number of 72 birthdays till date. See the analysis by days count and bar graph. Cher was born on 20-05-1946 in El Centro, Imperial in the state of California, United States. She is an American Singer, Film Actress, Author, Businessperson, Comedian, Dancer, Fashion Designer, Model, Philanthropist, Record Producer, Songwriter, Television Presenter, Musician, Recording Artist & Television Actress. Her real name is Cherilyn Sarkisian and was born to John Sarkisian, an immigrant truck driver, and Georgia Holt, a part-time model. Unfortunately, Cher’s parents divorced when she was only ten months old and her mother married to John Southall. Juggling her small acting career with waitress role, her mother vouched for acting parts for her Cher in television series. Poverty made her mother leave her in an orphanage. When she was in the fifth standard, she organized and choreographed a dance for a group of girls for musical Oklahoma. By the time she reached nine years of age she had developed a low voice which was very rare. She excelled in English and French, however later she discovered that she had dyslexia. She used to write and perform songs during lunch breaks in school. While still sixteen, she dropped out of her school and left her mother and moved to Los Angeles where she met Sonny Bono, a stage performer. Both came close and started performing on stage, however, their music was not very well received. Sonny produced her album, a cover version of Bob Dylan’s “All I Really Want to do” which reached number 16 on Billboard 200. Sonny and Cher’s “I Have Got You Babe” reached number one on Billboard Hot 100 in 1966 knocking off Beatles from the top position. The duo tasted success and from 1965 to 1972, the featured ten times in Billboard top 40 singles. As a result of selling 40 million globally records in 1967, they featured in the Times Magazine. In 1969, she gave birth to a son and the couple officially married. The failure had a positive in it as it brought out her acting skills in front of the world. The couple featured in The Sonny & Cher Comedy Hour. However owing to marital their problems, the duo divorced in 1975. In 1975 she married to Gregg Allman, who had helped her win a contract from Warner Bros. Records. However, this relationship didn’t last long and she divorced him in 1979. The next four years saw Cher make a musical comeback with albums like Take Me Home, Prisoner, I Paralyze. Her first stint at acting was in Come Back to the Five and Dime, Jimmy Dean, Jimmy Dean. She also starred in Suspect (1987), The Witches of Eastwick (1987) and Moonstruck (1987). In the same year, she made a comeback in the world of music albums with “Heart of Stone”.In 2002 she started her Farewell Tour which is remembered as the most successful tour by women which earned close to $150 million from two hundred shows. Cher holds the record having number 1 single on a Billboard chart in each decade from 1960 to 2010.She is among the few notable artists who have won Tony, Oscar, Grammy and Emmy awards.